Can you say cuteness overload? 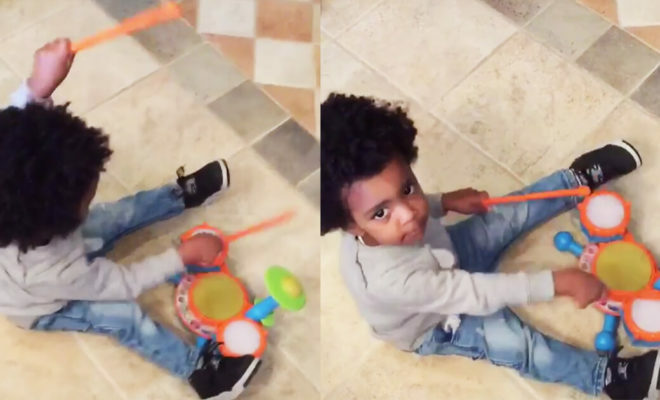 It’s no surprise that the musical gene runs in the family, but watching adorable little Ace Wells Tucker rock out on the drums will just melt your heart! He’s already got that rock star hair and those dreamy eyes…and now playing the drums; Todd & Kandi might have a little superstar in the making. In the video, captioned “music runs in my blood!” Ace gets down with the most precious drum solo! And no amount of Mom & Dad videotaping the moment could break that concentration. So adorable. Go Ace go!! !